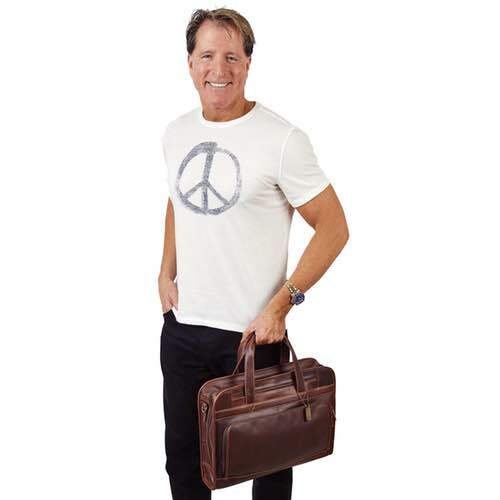 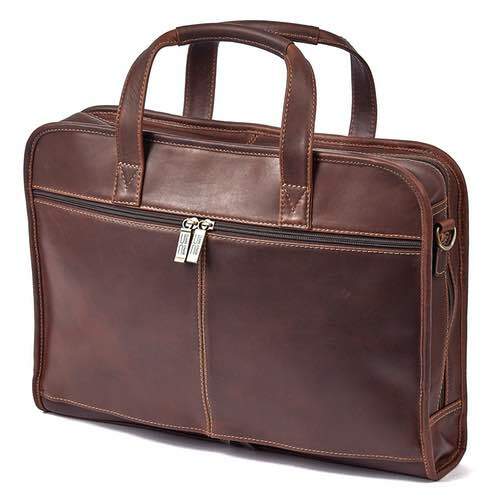 This briefcase is part of our Legendary Collection. 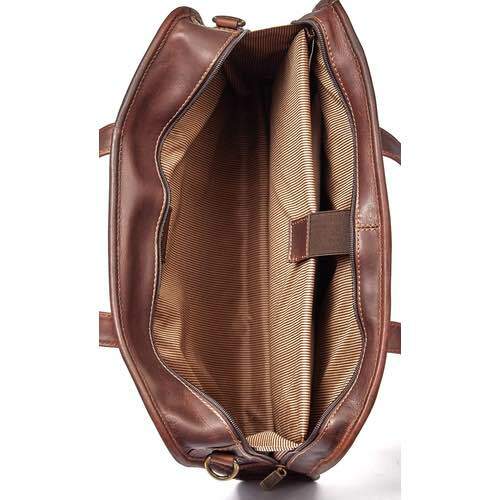 Fully lined of beautiful brown striped lining. 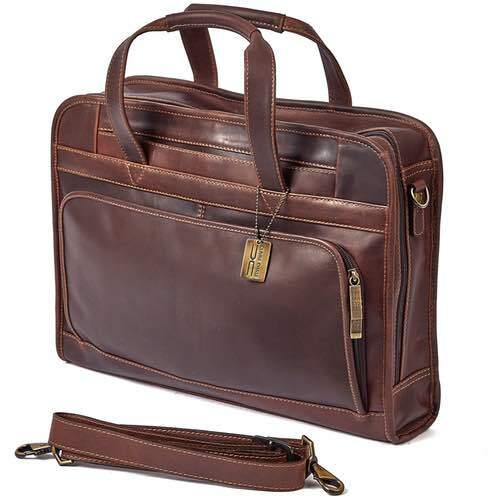 Padded section (11” x 15” x 1”) with Velcro-like closure for laptop. 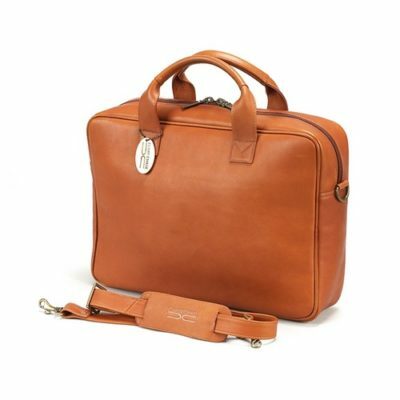 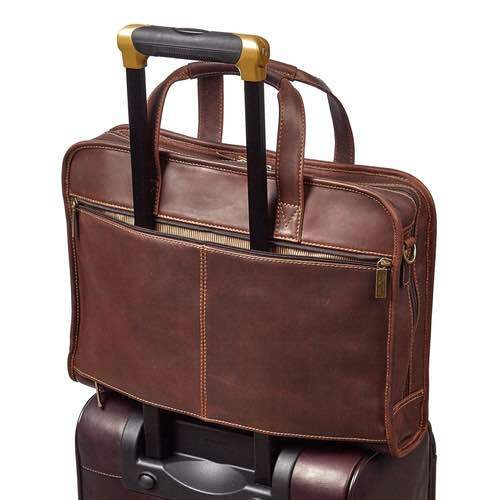 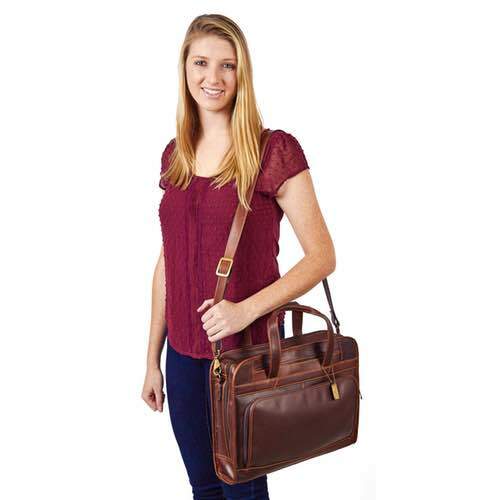 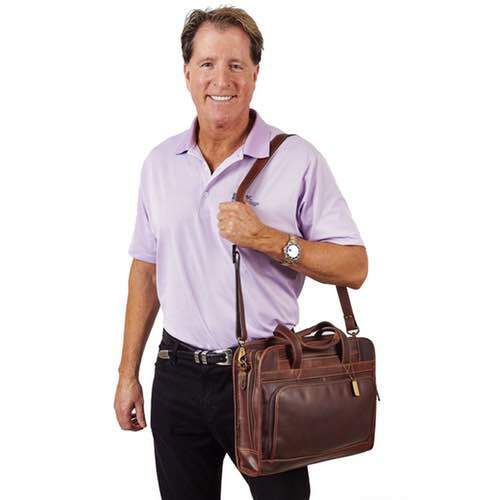 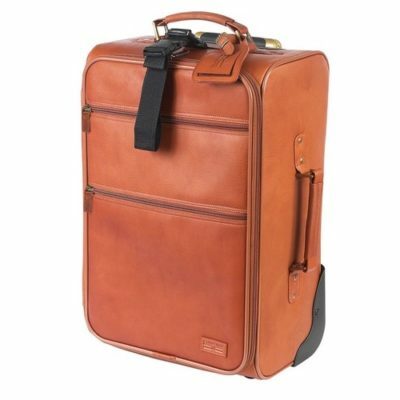 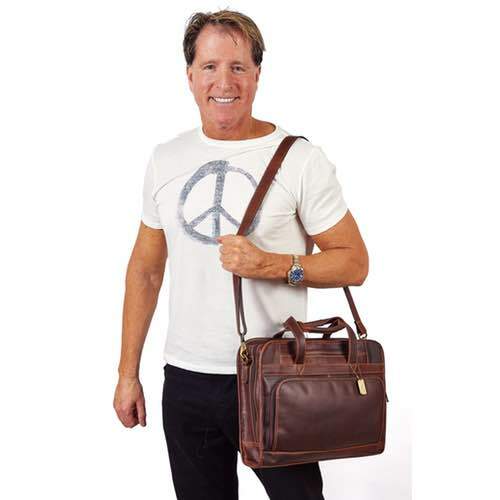 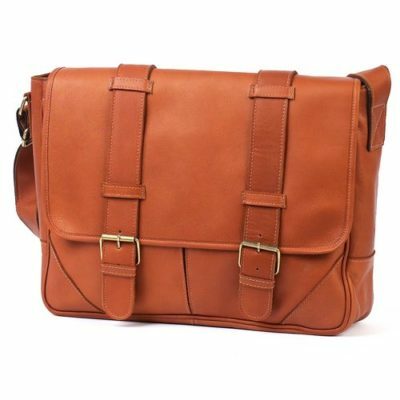 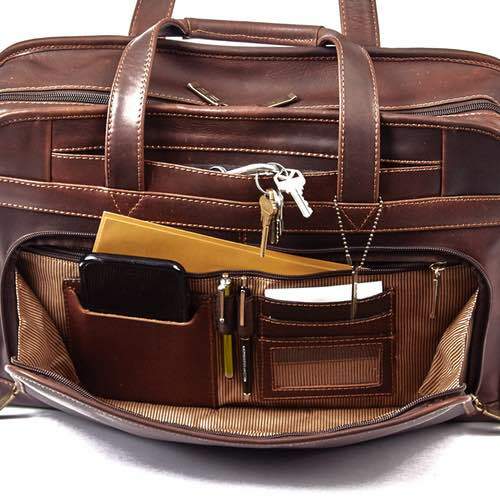 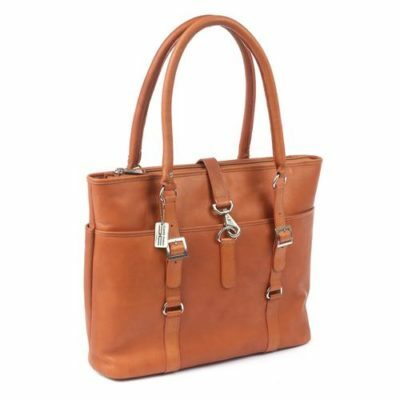 Carry this luxury bag with double handles or removable, adjustable shoulder strap.